“Try harder.” Letting go of the past may be difficult, but you may be stronger than you think. 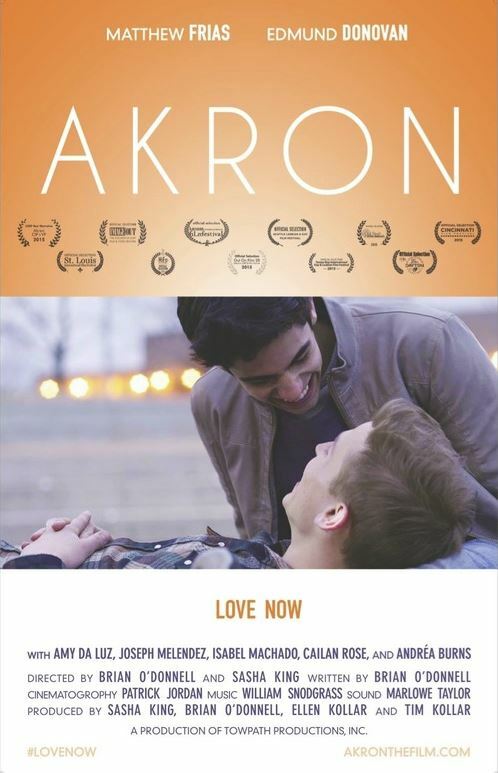 Being from Akron, I watched this film when it first came out, and I was really excited. It’s fun and interesting to see places on the screen that you know. I saw parts of the University of Akron and even Gallucci Hall that I spent many days and nights at. And I was excited that an LGBT film was actually filmed around here. I also liked that this film as a romance didn’t include any opposition from family or friends because they were a gay couple. Everyone around them seemed very accepting. The first part of the film was all about the beginning of Benny and Christopher’s relationship – meeting, getting to know each other, falling in love… all that good stuff. Of course, the issue here comes from a tragic event that involves their families, and the problems start at Spring Break. There is a part of the story when things are pretty rough, and one character is trying to get the other to move beyond something that she can’t. He remembers and repeats the advice she gave to him before: “Try harder.” Sometimes life gives you situations that make you feel like you can’t control them or the aftermath. But sometimes there are also parts of life that we need to remember that we can’t give up – we have to keep trying. I liked this advice. When we think we’ve reached the end of what we can handle we discover that we are stronger than we thought. But this moved the story away from Benny and Christopher and shifted it to the parents. It’s almost like the first and second half of the film are around two different things. With the first part of the movie spending a lot of time developing Benny and Christopher, the second half feels like it went a different direction. I know part of this story is about family, and how family affects how you feel and what you do. It also pushes you on whatever path leads to your own self-discovery. For Benny, his family and their history mean that being with Christopher has some unique challenges. This could have been examined a bit more with less explosiveness. With this being my second viewing a year or so later, I still like many things about the film. I enjoyed the first half, good cinematography, and the fact that the film is free of typical stereotypes and clichés. But I still feel like I missed something.